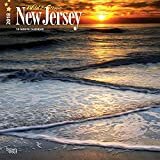 A Jersey Shore tradition, this classic, spiral-bound wall calendar for 2019 captures the moods and seasons of the New Jersey coast with beautiful scenic photographs by great photographers. It includes large grid spaces for daily notations, a bonus July-December current-year calendar plus an 18-month NJ tide chart. Since 1985, this calendar has been a must-have for vacationers, residents, and all lovers of the Shore. 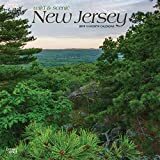 A Jersey Shore tradition, this classic, spiral-bound wall calendar for 2018 captures the moods and seasons of the New Jersey coast with beautiful scenic photographs by great photographers. It includes large grid spaces for daily notations, a bonus July-December current-year calendar plus an 18-month NJ tide chart. 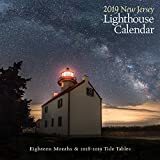 For three decades, this calendar has been a must-have for vacationers, residents, and all lovers of the Shore.